The 622M are 6.5" 2-Way Coaxial Marine Speakers. The speakers are constructed with a one-piece polymer basket which is designed to combat sun and salt exposure. Also included are speaker grilles which are vital in wet weather. Infinity has branched out into Marine audio after years of producing spectacular audio equipment. Regardless of the external environment, these speakers will perform out in open waters. Enjoy Plus One+ woofers and balanced-dome tweeters. Plus One+ Woofer technology can be found on many other Infinity models and has proven to perform very well. 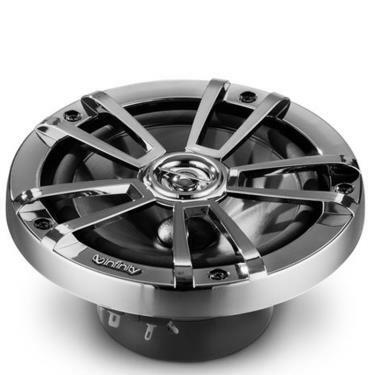 Balanced dome tweeters provide a clean high-frequency response and improved performance for highs and mids. They have a Peak Power Handling of 225W. In addition, they have a Power Handling Continuous Average of 75W. The frequency response ranges from 50Hz - 21,000Hz> Sensitivity is rated at 92 dB while that Nominal Impedance is 4 Ohms. They are designed to withstand wet environments with sealed magnet and rubber surrounds. Part of the testing process include Individually voiced speakers, something competitors may ignore. Instead of choosing is less known marine equipment, these speakers come with Infinity quality.